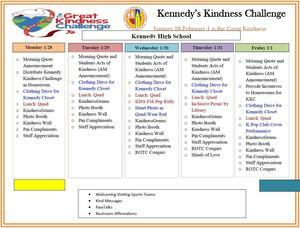 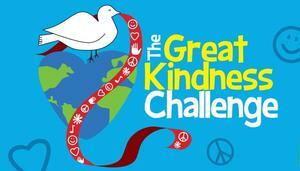 Kennedy High School is proud to join the Great Kindness Challenge, along with 15 million students in over 25,000 schools in 115 countries. 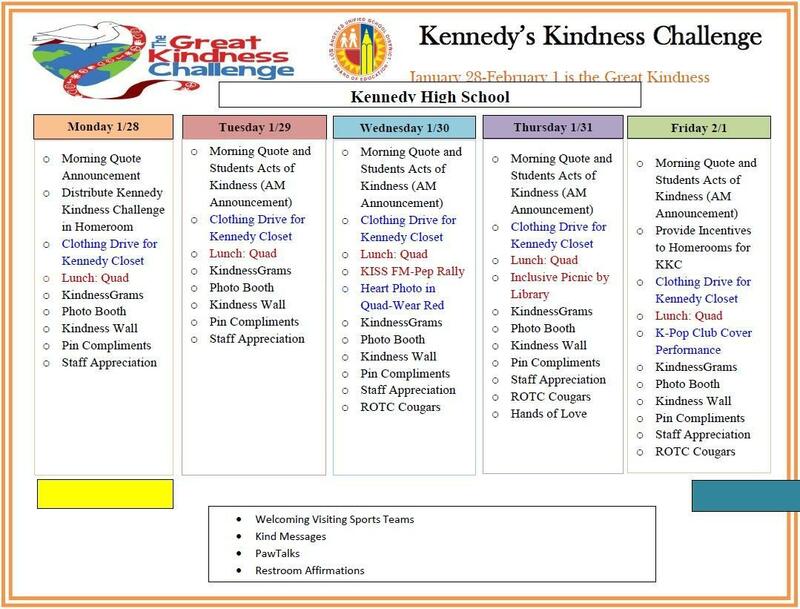 Our Kennedy Kindness Challenge is a school-wide event that challenges all students and staff to complete as many acts of kindness as possible toward each other and our community throughout the week. 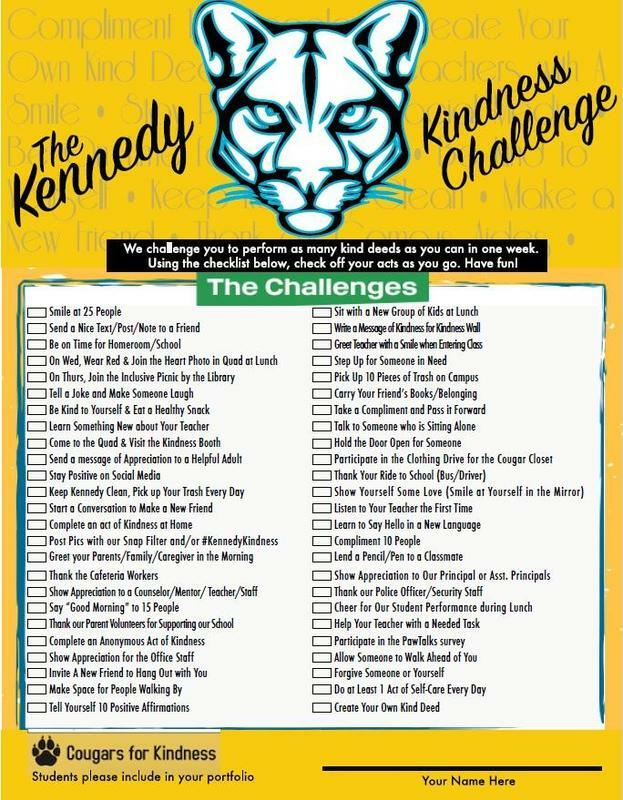 Every student was provided a checklist of The Kennedy Kindness Challenge of 50 kind deeds to complete during the week. 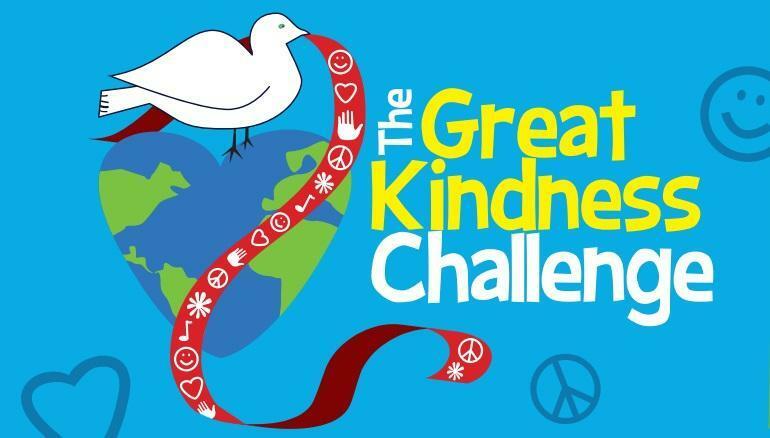 Our student groups and teachers lead various Kindness Stations during lunch to help our students complete the challenge. 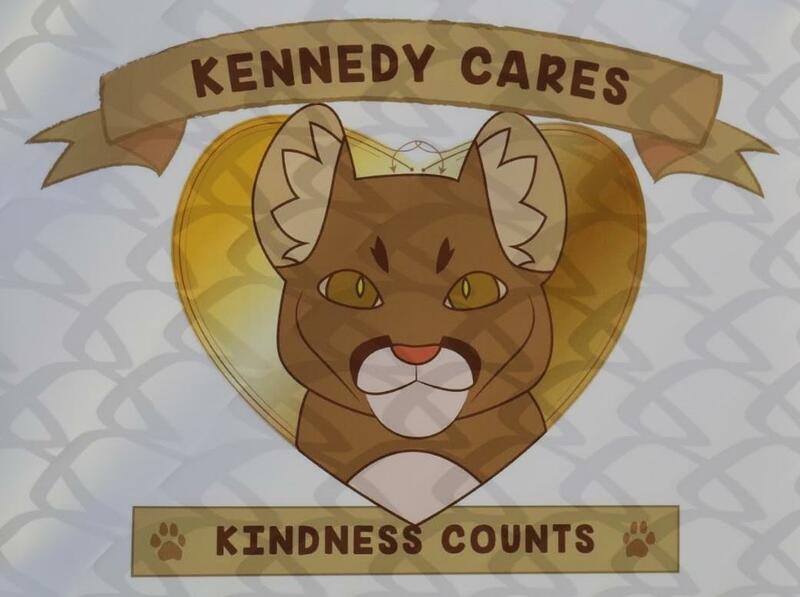 At Kennedy, we continue to demonstrate kindness year round to promote an inclusive and welcoming school environment. 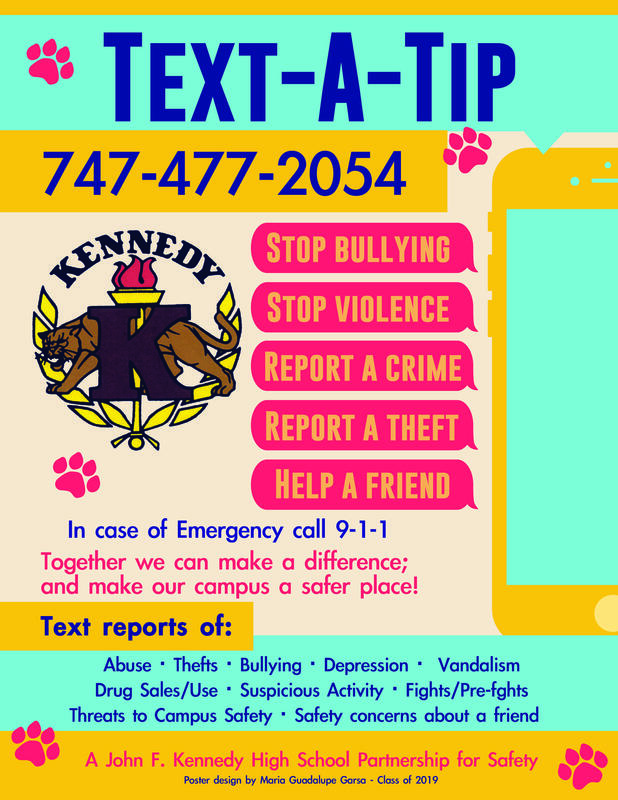 Kindness Matters at Kennedy High School.